* J.D. Candidate 2016, University of Richmond School of Law. B.A., 2011, Wake Forest University. 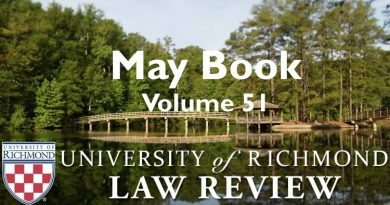 I would like to thank Pietro Sanitate for his suggestions and the University of Richmond Law Review staff and editors, especially Glenice Coombs and Leah Stiegler, for their assistance. I would also like to thank Judith and Stephen Smith for their valuable insight, Robert Harrison for his help, and my parents, Gini and Phil DiStanislao, for their support, encouragement, and for always answering my early-morning phone calls. Most importantly, I would like to thank my wife, Elizabeth, without whom none of this would be possible, for having faith in me and for reminding me to pray for a world where articles like this are no longer needed. March 15, 2015 lawreviewadmin Comments Off on Has the “Machinery of Death” Become a Clunker?